Why does dinnertime have to be such a chaotic time of the day? For so many years in our house, dinner was one of my most dreaded times of the day. After parenting and homeschooling our 6 children all day, having the energy to decide on what to make for dinner and then make it was just too overwhelming. Often times I would forget to get anything out in time for dinner. Having 6 children (4 of them teenagers) going out to eat is just way to expensive of an option. Anyone who has or has raised teenagers knows what I’m talking about. These teens can eat and eat like nonstop, goodness only knows where they put it all lol. In order to make sure we have a healthy meal on the table every night we menu plan. We have done this for the last couple years. It has been an amazing way for us to not have to worry about dinner every night. We plan for 6 weeks at a time because that is what is easiest for us. However, making a menu plan will work for any amount of time not just 6 weeks. I have previously shared on my blog just how I menu plan for 6 weeks, along with some of the tips, ideas, and more I have learned along the way. Today I am going to go over how to teach your kids to menu plan. I will also be sharing some of our favorite soup ideas. Decide How Long To Plan For: First off decide how long you want to menu plan for. We plan our menu’s for 5 weeks at a time. For the 6th week, we use any meals that didn’t get used during the previous 5 weeks. Planning for that long can be very overwhelming to many people. Some just don’t have the storage for that much food. So decide how much food you have room for and how long seems like a good time frame for your family is. Choose Main Dish Recipes: Have your child make a list of different meals they would like to include on the menu. For our breakfasts, we rotate the same foods every week, so this part of our menu is simple. We number on the paper 1-7. For lunches, we rotate the same lunches over a 2 week period and number our paper 1-14. For dinners we add some easy dinners to the list for our busy nights, we fill in our favorites and more. If you need some more ideas head over to Pinterest it is full of different family-friendly recipe ideas simple enough for kids to find. Choose Side Dishes: Make a list of different side dishes that can be added to your menu. For us we use whatever is seasonally available around us, and a few extras we get from Costco. I usually make a vegetable, fruit, and misc list. Then when making the menu kids can easily choose what needs to be added from each food group to the meals. Fill In Meals Into A Printable Menu: Once you have the meal ideas and sides chosen it will be easy to fill in the menu’s now. I have made a printable menu I use, that makes this part super easy. There are separate lines for the main dishes, sides, and misc. We try to plan a main dish, veggie, and fruit/misc at each meal if possible. Make Shopping List: Go to your menu and add everything needed to a shopping list. I would have them start with each of the side dishes and add those to the list first. Once they are finished with that have them go over the recipes to the main dishes and look through each of them. Adding any ingredients needed that you don’t already have in the house. This part may be a little harder, especially for younger kids so you may need to assist them with it. If there is anything I have learned from menu planning for the last couple years it is that it may seem overwhelming at first. Once you have done it a couple times, you will quickly realize it’s much easier than you thought. After a couple months you will realize just how much money you are saving from doing it as well. It has saved us a considerable amount of money!! We live in the great state of Michigan. While that means that we get 4 beautiful seasons, it also means we get very cool falls and freezing cold winters. When the cold weather hits we make a ton of great soup recipes. Some days they will simmer on the stove for hours, warm the house and make it smell delicious. Other soups are quick to make. I have even shared a list of 40 different Crock Pot soup recipe ideas we love!! Some of our favorite soups are Chicken Noodle soup. I put a whole chicken in a stock pot and let it boil for hours on low heat (adding water as needed.) I add in cut carrots, celery, homemade noodles, parsley, onion, lots of garlic and Celtic sea salt, and pepper. After the vegetables are cooked I remove the whole chicken from the pan, remove the chicken from the bones and add the chicken back into the soup. It is super delicious soup and has amazing healing powers. Vegetable Beef Soup is another favorite around here! For this, we boil a roast or beef stew meat and beef soup bones for hours on the stove on low heat. Add in some mixed vegetables, celery, potatoes, a few cans of diced tomatoes, bay leaves, lots of garlic, tons of Celtic sea salt, pepper, Worcestershire sauce, a few sprinkles of garlic salt, Italian seasoning, crushed pepper flakes. Once the meat is cooked take it out, cut it into small pieces and add it back into the soup. I will sometimes add in quinoa instead of barley for a completely gluten-free soup. I add all the seasonings in to taste which means the soup is slightly different every time. It makes some of the most amazing soup though, that once again has amazing healing powers. 20 Minute Cheesy Chicken Enchilada Soup. Super Easy Crock Pot Chili Recipe. Homemade Cream of Chicken/Mushroom Soup. Does your family love soups? If so what is your favorite soup recipe to make? Nicole is a Christ follower, wife and homeschool mom of 6 blessings. She has homeschooled her children for the last 13 years. She teaches her younger children using Montessori methods and her older kids using more of an Elective type education. Essentially, she tries to tailor their education to how they learn best, making learning fun for the kids. 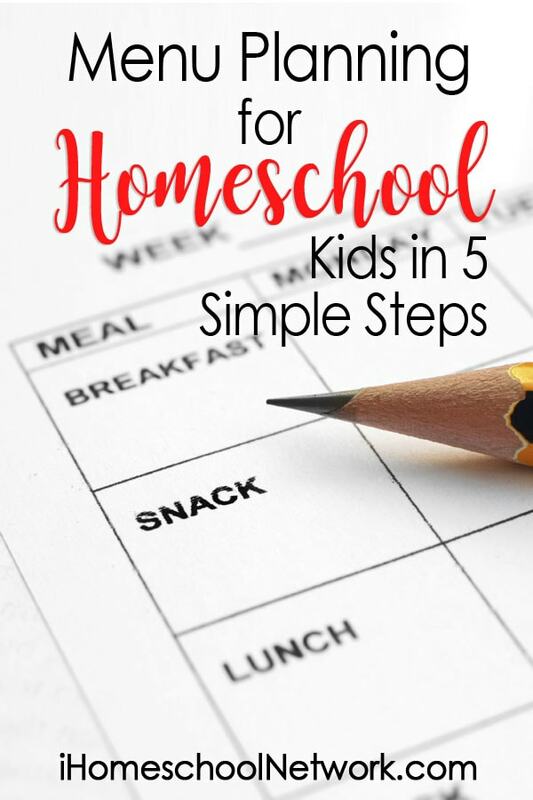 She shares her tips and advice on homeschooling, monthly menu planning, recipes, natural living, and more on her website Mama Of Many Blessings.